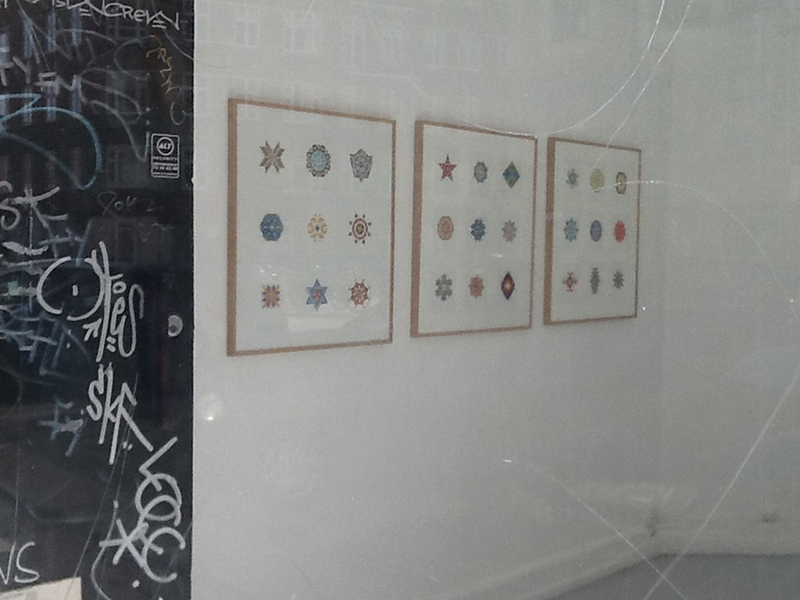 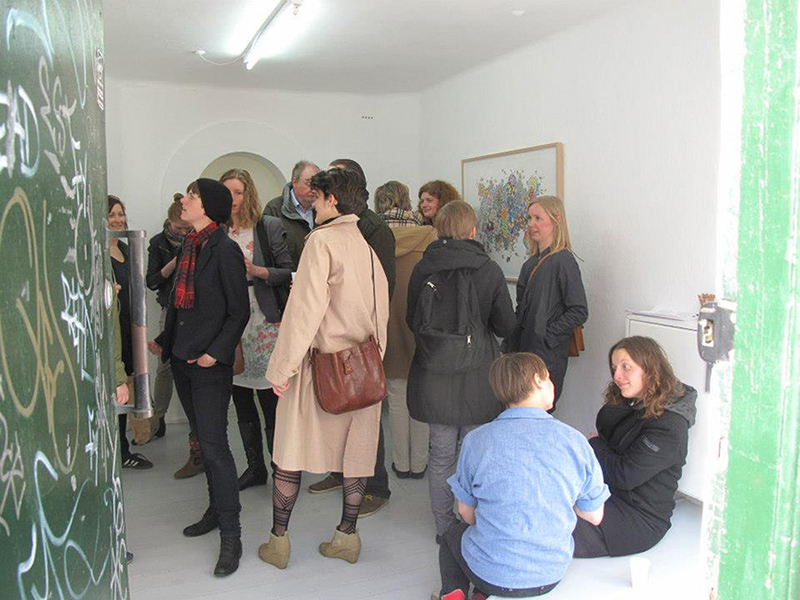 A solo exhibition at the artistrun space c4 projects in Copenhagen, 2013. 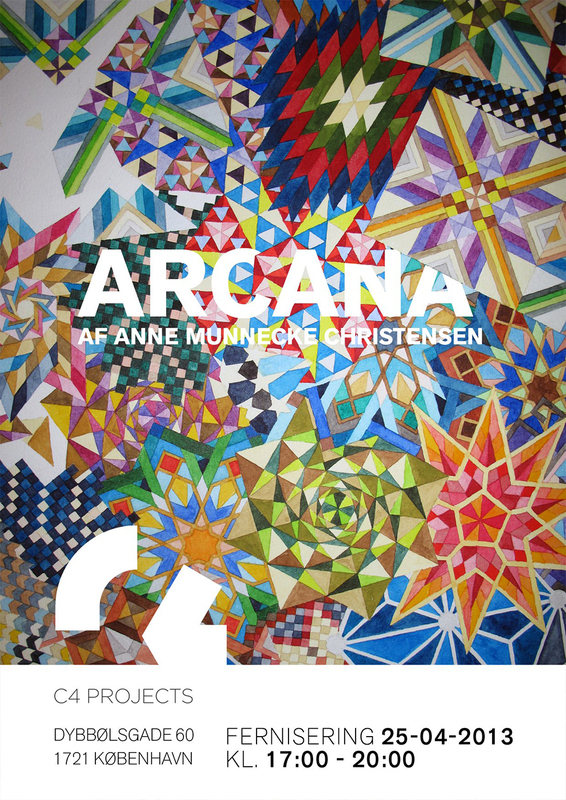 Arcana is an examination of the star as a shape and as a signifier. 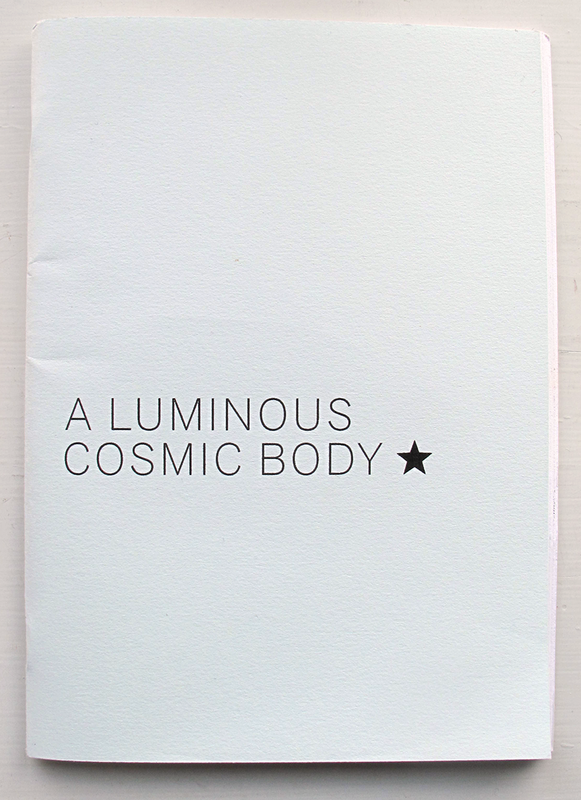 A star is a luminous sphere of plasma held together by gravity, but it is also a cultural symbol used by a vast number of communities across time and geographical space. 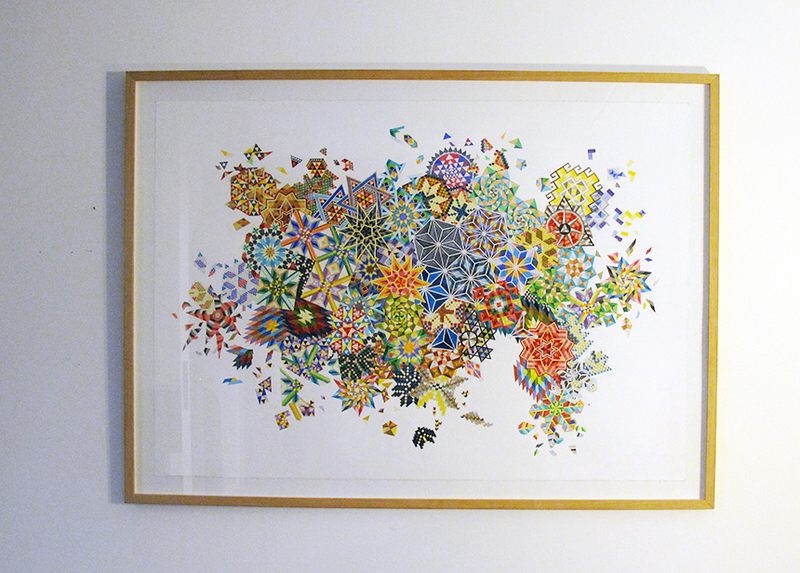 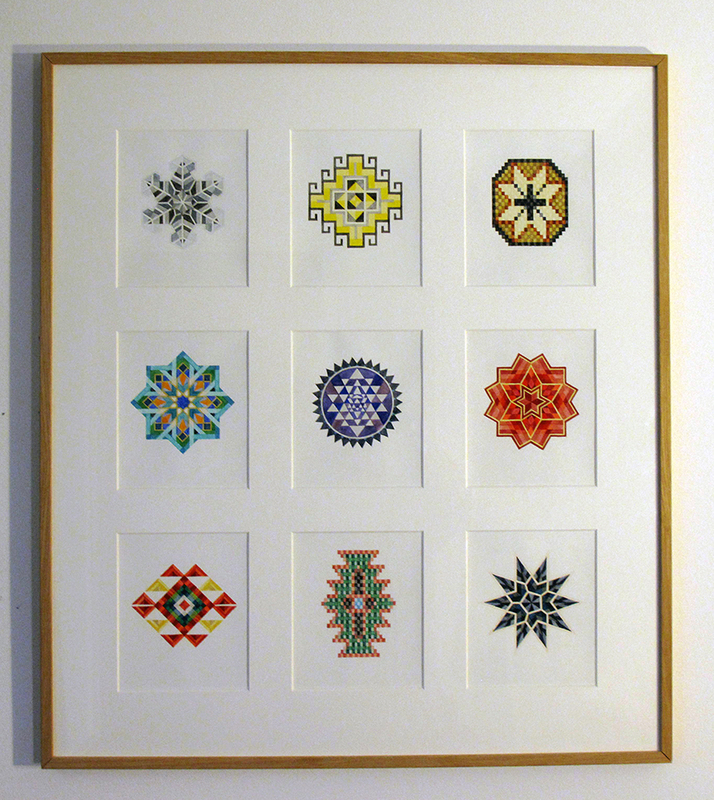 The exhibition shows geometrical shapes of stars from different cultures around the world adapted an systematized with watercolour on paper. 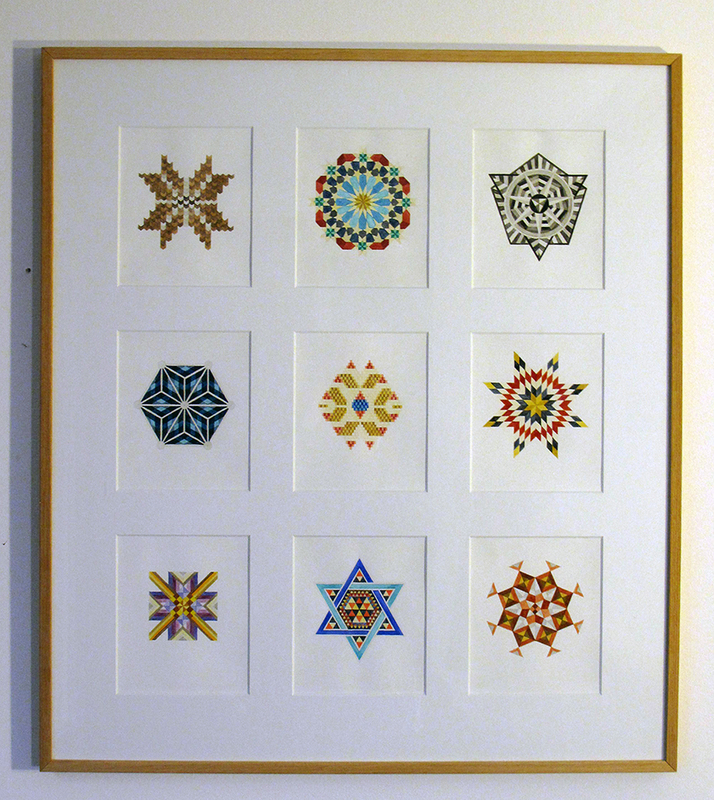 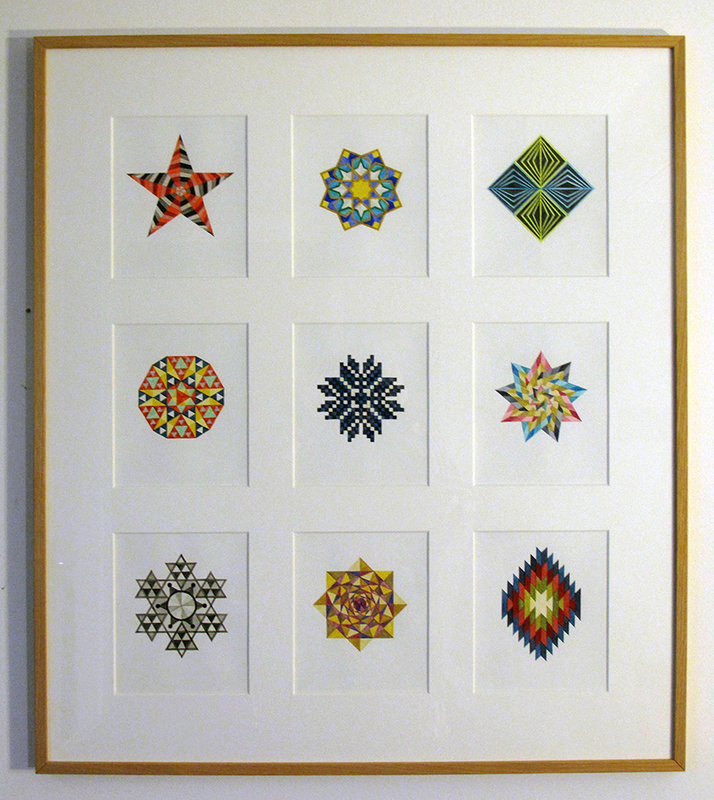 Adaptations from textiles such as star shapes from american quiltmaking, scandinavian knitwear, Persian Bidjar-carpets and Japanese shashiko embroidering are being shown side by side with stars from religious or occult communities signified by Islam, Judaism, Kabbahla or Bahai.